I (Kate) first met Melissa some years ago now during my first Yoga Teacher Training. 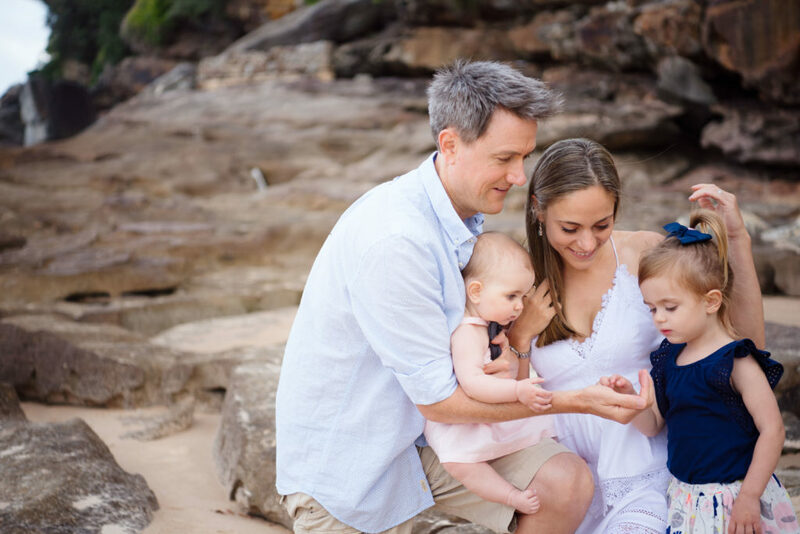 Since this time, Mel has had two beautiful girls and spends her days being a busy mum as well as working on her business she shares with her Husband Clint from their home base on Sydney’s Northern Beaches. Mel is a yoga teacher and plant based health advocate who has developed a lifestyle approach with her husband called the Paddison Program that has improved the lives of over 10,000 people worldwide suffering from Rheumatoid Arthritis. Her latest project is Glowing and Showing, the Natural Pregnancy Guide, which provides a step-by-step holistic guide to having the healthiest possible natural pregnancy. The overlap we have in our lives, including the way we see the world makes us very humbled to share Mel’s story with you. Could you relate to Mel during today’s episode? It’s our shared mum life experiences that truly connect us. Share with us in the comments. Melissa Paddison is the co creator of the Paddison Program – a wellness program and lifestyle approach that has improved the lives of over 10,000 people worldwide who are suffering from Rheumatoid Arthritis. Melissa is a pioneer in developing easy-to-digest plant-based meals that are designed to heal the gut for people with chronic digestive disorders. Spending countless hours practicing yoga since childhood and later becoming a yoga teacher, Melissa also has a passion for restoring physical abilities and mental clarity through yoga and meditation. After having two babes herself, Melissa wanted to create a guide for Mamas to tap into their inner reservoir of strength, fine tune their pregnancies, and to cultivate a Mama mindset to clearly find the healthy way into Mamahood. Glowing and Showing the Natural Pregnancy Guide, is Melissa’s latest project focused around pregnancy, and provides a step-by-step holistic guide to having the healthiest possible natural pregnancy. I am originally from the US and have been living in Australia for almost a decade with my amazing other half, Clint. I always knew that I wanted to be a Mama and couldn’t wait to start a family with Clint. Ten years ago, Clint was diagnosed with an autoimmune disease called Rheumatoid Arthritis and it very quickly consumed every waking moment of both of our lives. We were told by doctors that there was no cure and while he was on medications to treat the inflammatory disease we were not able to have children. This was not an answer that we were willing to accept for our future. We both were determined to reverse his RA symptoms and have him come off all medications so we could have the family that we always dreamed of. With ultimate faith and perserverance against what the medical industry said was impossible, we were able to find a path to wellness. Clint was able to stop all medications. He was able to walk down the aisle at our wedding and dance with me. We were blessed with divine grace to have two amazing and gorgeously healthy little girls. With these priceless gifts we knew that we had to share what we found with others. We decided to create a program for others suffering from rheumatoid arthritis and autoimmune conditions to help them find an alternative path to healing. So on the days that are filled with chaos and the roller coaster ride of parenting is almost spinning out of control. I try and step out of the dirty kitchen filled with dishes, the high chair covered in smashed food that needs an epic clean, the potty that needs to be cleaned with an accident of something that didn’t quite make it in, the mountain of laundry that needs to be folded and put away, the house that looks like it just went through a hurricane of destruction, or the sweet Angel that is now currently having a meltdown….and focus on how grateful I am to even be able to have those moments. The moments of mamahood. I take a deep breath and surrender to it all. Being a mama is 24/7 and there are many moments that are not completely magical. But I will take all of the moments and relish on the sweet cuddles, hushed whispers of bed time stories, skin to skin bliss, and dancing in a variety of dress up costumes with my girls. As a family we simply love being together. Clint and I try to both have family time together with the girls each day. Finding adventures at the beach, park, exploring nature in our gum boots, finding muddy puddles to jump in, dressing up in a silly costume, practicing yoga, and creating funny songs are all things that we love to do with the girls. We try to stay present in the chaos of parenthood and are eternally grateful that we get the privilege of being parents! When I set aside my mama mantle I help run our health program with Clint, called The Paddison Program. In addition, during my pregnancies I found myself searching for a lot of answers on how to have a natural, healthy, and mindful pregnancy. I also had very little support or family around as I was living overseas. This led me to create Glowing and Showing a Natural Pregnancy Guide, which is loaded with all the things that I found on my mamahood journey. Including how to follow a plant-based diet for Mama and Baby, how to connect and unite with Baby, how to embrace our growing bodies, nourish our body and spirit, and how to cultivate our powerhouse of strength as Mamas for labor and delivery. I also am a yoga teacher which was like coming home after I completed my yoga teacher training. With yoga running deep in my bones for so long throughout my life, I have loved being able to share and humbly serve others on their yoga mats. A new joy that I hadn’t imagined pre kiddos, was being able to teach and share with my girls the indescribable beauty of yoga and all that it can offer them. A new joy for the family is rolling out our yoga mats on the back deck. I am far away from the days of multiple yoga classes in a day, popping out of the house on a whim for a class, or physically reaching new epic milestones in my practice. Instead I am recovering and healing from giving birth to two babes, recharging with a simpler yet powerful practice, teaching others on our wellness program how to move and breathe, and loving teaching Angelina (my almost 3 yr old) all about downward dog and tree pose. There isn’t an exact point that I can pin point where my yoga journey began. I have been blessed and was born into a yogic family and it was part of my childhood from day one. Perhaps you can say that my yoga journey began in the womb with my Mom. My mom followed a meditation teacher and we had a lot of exposure and spiritual living from an early age. So my very first touch with yoga was probably in my early days when I began to practice meditating at the age of three. I had the spiritual side of yoga tapped in at a very young age. We also went to Satsang weekly which in sanskrit means ‘meeting of truth’ and I was surrounded by a large community of spiritual minded people. My first physical yoga asana experience came later in life in my early twenties. I had spent seventeen years as a ballet dancer and was a part of the Orlando City Ballet. After I became very busy in college and knew that I wasn’t going to make dance a career, I knew that I needed to keep the joy of movement, expression, and creative energy in my life. It was then that I rolled out my yoga mat and began to have an asana practice. My oh my. A new passion for breath and movement was ignited. Ooohhh. This is a hard one. I know that self care is so incredibly important as a mama. It is something that I talk about in Glowing and Showing and yet I still find myself struggling to find time to nourish myself with self care. I think that it is a constant thing that we as mamas need to focus on and make a priority in our lives. I find myself quickly spiraling out of happiness and into a state of anxiety and simply not the best version of myself when I forget about my own self care. I know that my yoga practice is fundamental for my happiness and total wellbeing – so I make that a priority. My husband totally gets this and is the biggest supporter (thank goodness!) and he helps to coordinate our schedules weekly so that I can make two yoga classes a week. It is absolutely amazing what a couple of hours in a yoga room away from the house can do for my mama sanity and wellbeing. I feel strong physically and mentally. I feel empowered, grateful, and humbled to what my mat offers me. I feel focused and aligned with my role as a mama and how I can serve others. Other little ways that I give myself some self care is have some kind of outing out of the house (away from kids!) and play my favorite music in the car. I have a playlist of my favs along with a Yoga Mama play list (which gives me instant joy and happiness, music is food for my soul). On one of my rare outings out of the house alone these days, simply going to a health food store and getting a juice makes me feel like a kid in a candy store! If I am lucky to be around family or friends (most live far away!) I love going for a pedicure together as a mama time out. My other self care time is taking walks along the beach. We live a few minutes from the gorgeous coast and even a ten minute walk alone along the water gives me an instant boost and reset to my mindset. Sometimes this plan gets tossed and instead we bring the girls and all have a play along the beach, but at least I get to my happy place for clearing my head and taking some deep cleansing breaths. It is a definite win for the entire family! How do you incorporate yoga into your #mumlife? I have touched on this already, but I try to make yoga a must in my life. I know that going to a yoga class outside of the house hits me hard where I need it. It nourishes my body, mind, and soul. Clint gets this and even when Arielle was only 4 months old, we coordinated for him to watch the girls twice a week for me to make a yoga class. He would even push the girls in a double pram for an hour while I took a class in Manly. He would have Arielle ready to go for a much needed feed right after I finished class, and Angelina would be playing at the beach. This support and working together to give me my self care time, truly helped me recover and heal after her delivery. 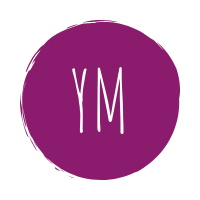 Besides taking class with other yogis, on the days when I can’t make it to class, or mamahood takes over completely (there are many many days like this!!!) I try to set aside a few minutes for self practice. We have a back deck outside where I like to flow into a practice, even for just 10 minutes. There are many times that I think that I have a few minutes and then out pops Angelina jumping on me and my mat and she wants to do her version of downward dog. I often put Arielle outside with me in her jumperoo, while I do a simple flow. Times that I practice my mindfulness and meditation side of yoga are when I am walking the girls in the pram. I have spent countless hours pram pushing, ha ha. Finding these moments of blissful silence as you push your babes to sleep give a great opportunity to do a walking meditation or just practice being present. Another time that is golden for meditation for me is right before bed by sitting by myself for five minutes. I have recently also started a simple meditation while I am putting the girls to sleep. Either I practice while I am laying down with Angelina and giving her cuddles goodnight or I practice as I sit next to Arielle’s crib and she drifts off to sleep as I pat her side. Those are truly beautiful moments of silence that give me time to connect within while connecting with the girls. In this state of calm, peace, and tranquil breathing I find true magic as a mama. Beyond my own personal yoga practice, I love sharing with other mamas how to practice yoga during pregnancy and beyond into mamahood. I also work with our clients on our health program with various online yoga videos including yoga sequences, yoga nidra, and meditation.